You are a retired adventurer, who after many decades of raiding dungeons and looting bosses, have opted for the quiet life. 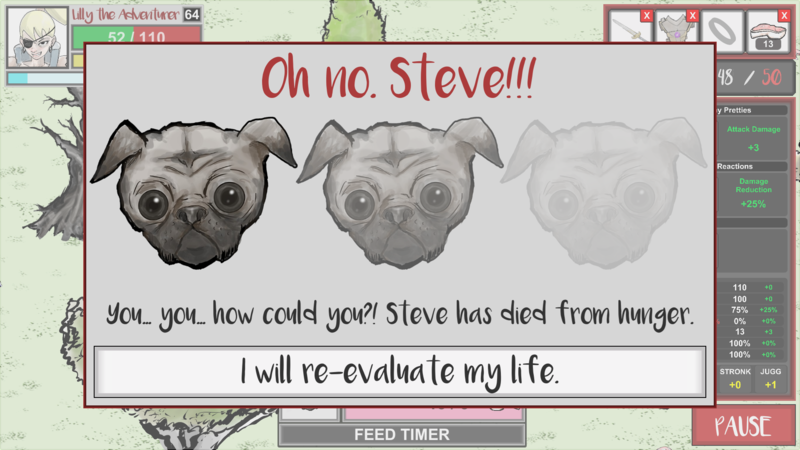 You move to a peaceful wood cabin in the woods with your newly acquired canine companion Steve. 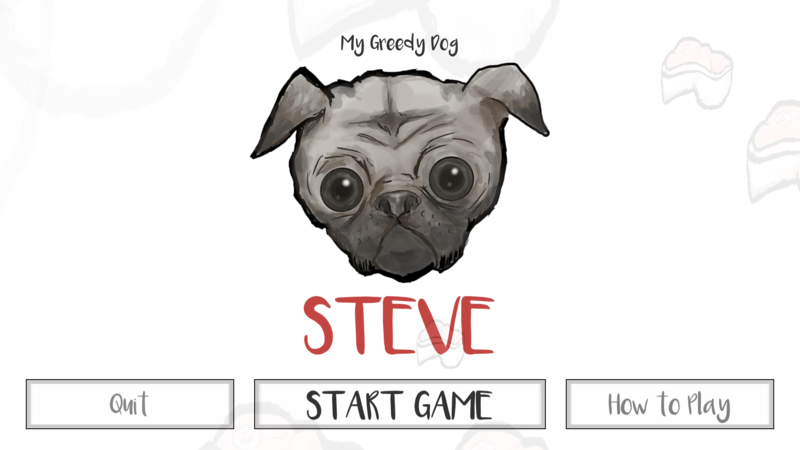 Steve is a growing pup, and needs feeding. Whilst out hunting for puppy snacks, it becomes apparent that leaving the adventurer life behind you is not as easy as hoped. The forest is plagued with creatures and monsters - who seem hellbent on turning your retirement into a funeral. Steve is the only one you hold dear. 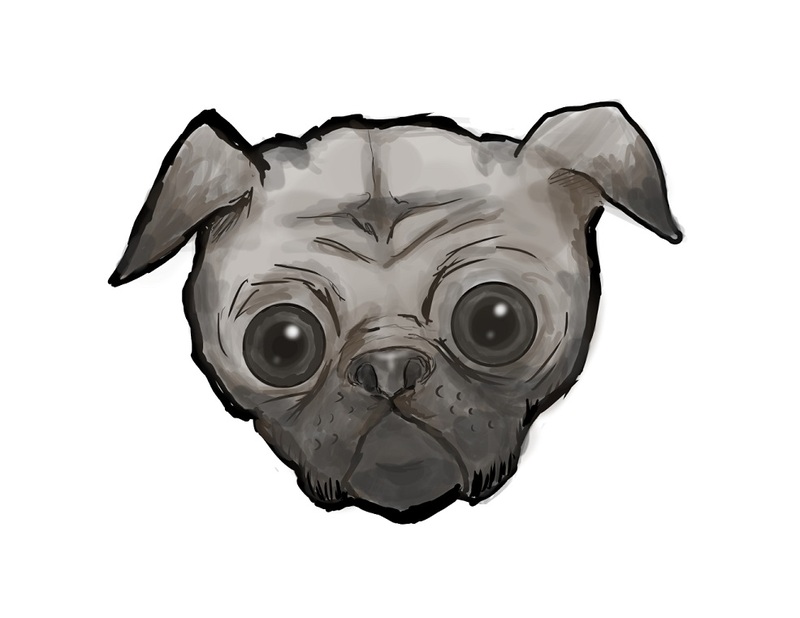 You must feed him. The trouble is, each time you feed him - his appetite gets bigger, and you'll have to seek out more and more food for him from the perilous forest. In addition to this, once an adventurer - always an adventurer. 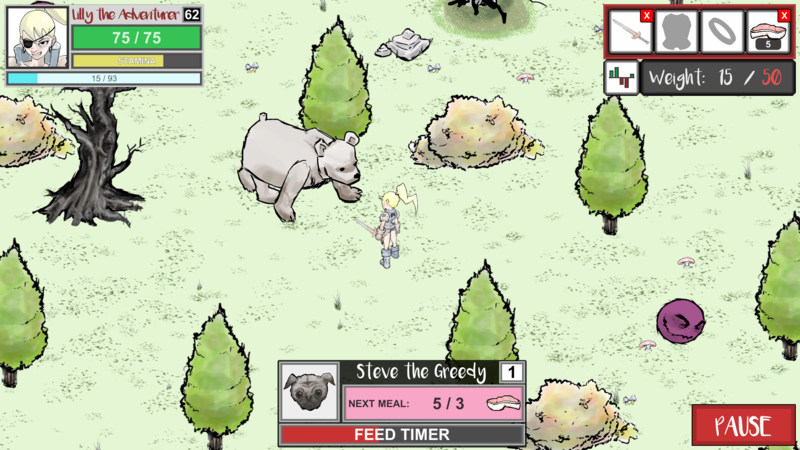 Eliminating the forest of threats will reward you with experience, which in turn will level you up. 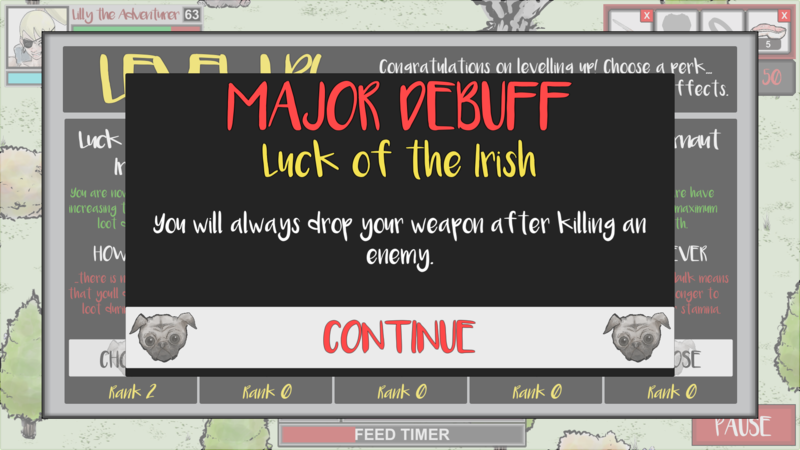 However, in your old age, each level up is not what it once was. Each level up will allow you to focus your experience in specific abilities - though each of these come with unfortunate side-effects. 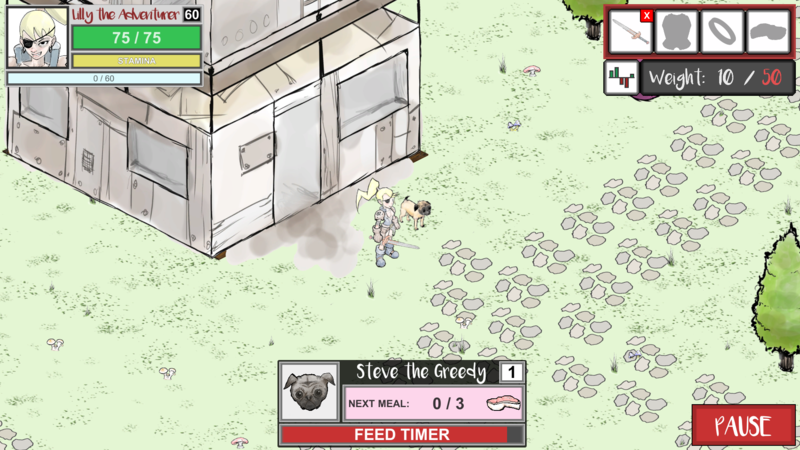 The more you level up, the harder it will be for you to gather enough food for your growing Steve. 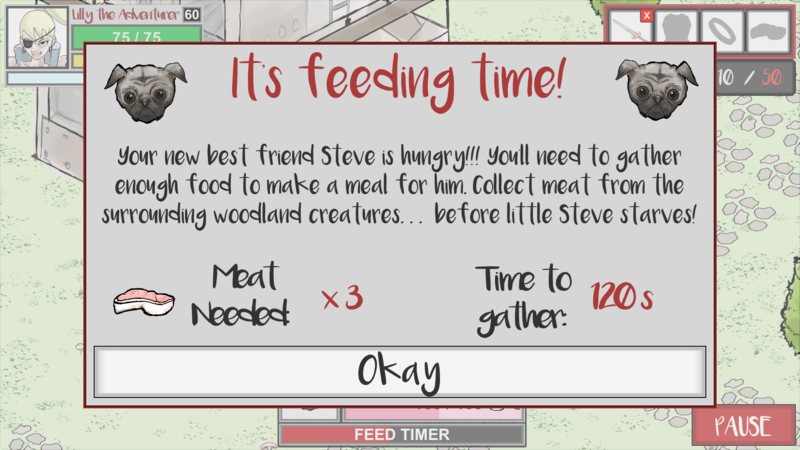 Can you keep Steve safe and fed? Will you keep up with his growing hunger? Or will your exeprience on the battlefield break you, rendering you unfit to protect your only true friend?